Doctor Who – a superhero who makes us remember our humanity. Now that I spent much more time creating my own characters and writing stories, I noticed that I tend to have a much more critical approach when I read books or watch TV shows. I pay a lot more attention to the characters in the shows and books I like. I try to analyze how the authors portray those characters, what motivates them to do what they do, what moral compass guides their actions. So I am planning a series of posts about fictional characters that touched me in one way or another. Characters who taught me some invaluable lessons, or helped me get through tough times, or just became a friend when I desperately needed a hand to hold. Today I want to talk about Doctor Who – the longest running science-fiction show in the world, which had just celebrated its 50th anniversary. In our era when Gods and heroes, wizards and vampires of all shape and color invade our TV screens and bookshelves, the Doctor seems like an unlikely superhero. After all, he doesn’t possess super strength or x-ray vision. He can’t fly or call up storms. He doesn’t wield powers capable of destroying entire armies and he doesn’t run around carrying big cool weapons. 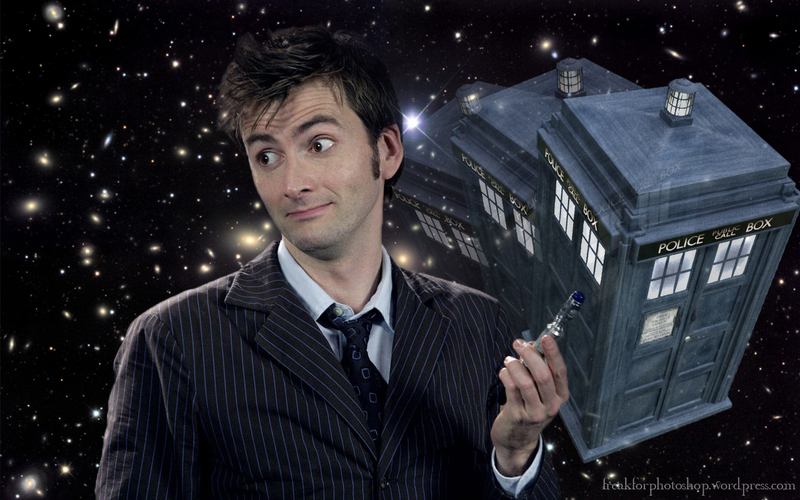 In fact, all the Doctor has is a sonic screwdriver, a blue box that can travel through time and space and two hearts. But to me, he is the best superhero in the world. The Doctor, the TARDIS and a sonic screwdriver. Let me explain. The Doctor is not human. He is a Time Lord from the planet Gallifrey. He is over 1300 years old by now. He is the eternal traveler, hurling through time and space in his TARDIS, because his planet had been destroyed in a horrible war, and he is the last of his kind. Yet, he is also the most human person I know. He has seen so many things in his travels, yet he still greats everything new with open arms and open hearts. He still gets ecstatic about discovering a new culture, or trying a new ice cream flavor. And he treats everyone he meets like they are the most important person in the world. I think that sums him up perfectly – he is fearless, fiercely loyal and, most of all, extremely compassionate. Even the name he chose for himself – The Doctor – is extremely fitting. He will always try to help those who need him and he will always try to “heal” whatever evil he encounters, even if that means putting himself in harm’s way. And I think we need more heroes like the Doctor in our lives to remind us that violence isn’t the answer to everything. That most of the time words have a lot more power than guns. That we are all different, but we all are just as important, no matter the color of our skin, the gods we worship or the people we chose to love. That’s why I hope that 50 years from now, there will still be new Doctor Who episodes, and the Doctor would still strut out of his TARDIS with his new companion, ready to save the world. 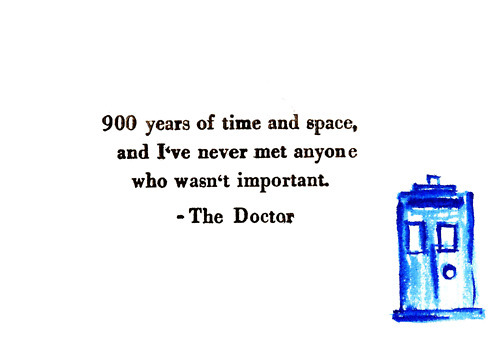 Because even 50 years from now, we will still need the Doctor to bring the best out of us. 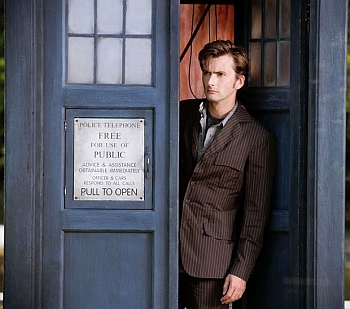 I just started watching Doctor Who a few weeks ago, and so far I have only made it to the tenth doctor. Nevertheless, his open-mindedness and eagerness for discovery has already had an impact on me. He really is a great superhero. Thank you for sharing. Oh, the Tenth is my favorite doctor. He could be sassy and witty, and lighthearted, but just one look, and you could see that he was this extremely old alien being too. And the heart-breaking sadness you could see in his eyes from time to time… Kudos to David Tennant for his wonderful performance, he is a great actor.